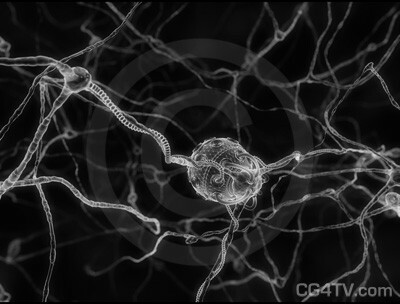 Royalty Free high resolution Image of Nanobots - Nerve Cells Black & White 3D image for print media. Nanobots Replacing Neurons (nerve cells). Our artist’s depiction of a nanobot replacing a nerve cell is “hot off the microscope.” At this very moment, scientists around the world are racing to use nanotechnology to repair damaged nervous systems – to rehabilitate stroke victims, to mend injured spinal columns, to link malfunctioning glands to artificial regulators. The possibilities are endless as well as mind-blowing. Nanorobots, tiny machines micrometers in diameter, can be coated with an organic compound like polylysine and induced to communicate with living cells. These nanobots will soon be able to bridge the gap between damaged neurons and muscles up to a meter away. They may facilitate the re-growth or healing of damaged nerve cells or perhaps connect them to artificial matrices. Nanotechnology, which operates on the scale of billionths of a meter, is a fusion of medicine, computer science, physics, chemistry and engineering. 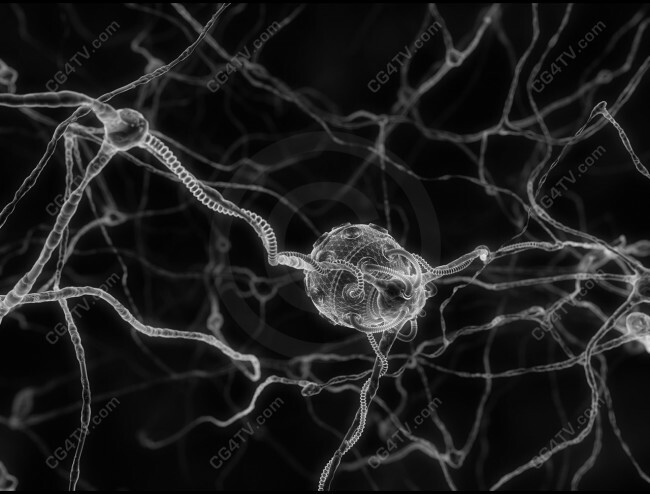 Think of the ways you can use our image of nanobots replacing neurons! Evoke the future that will soon be here! Raise people’s awareness of the staggering potential to be found in nanotechnology. Our high resolution image evokes hope for the many who will benefit. Our image of nanobots is available in a variety of dimensions and in multiple resolutions. Let your imagination be your guide in how you use this image of nanobots. Why spend money and time to develop a custom image? Royalty free use of this low cost depiction of nanobots will be easy on your wallet and on your busy schedule. It’s the most imaginative medical image of nanobots you’ll find. Why wait? Get it now. It’s easy. Just a few simple clicks of your mouse and you’re ready to go. Download is immediate. All major credit cards are accepted.